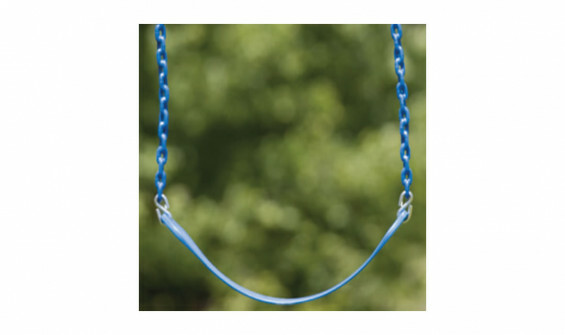 Blue heavy duty belt swing seat with extra strong chain for your child's safety and enjoyment. Our belt swing seats encourage children to get active and stay active in outdoor swinging fun! Belt swings create some of the most cherished memories of childhood. Children love the feel of the air as it gently glides through the air. As children swing side by side, they compete to see who can swing the highest. To parents, it's just childplay, but belt swings seats are truly one of the most important accessories to a backyard adventure. Each belt swing chain is coated with plastisol to help with gripping, reduce pinching of small fingers, protect chains from the hot sun and reduce rust. For piece of mind, we include a 3 year warranty for many years of worry free play. 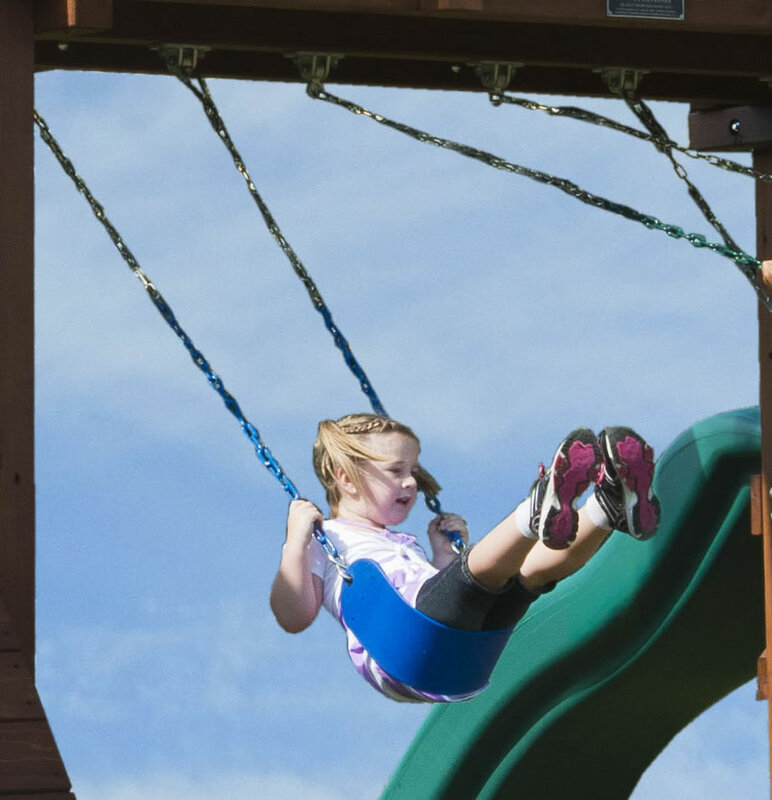 Our premium belt swings can be installed on most swing sets in less than one minute. They make the perfect replacement for old and worn out belt swings. This is the only belt swing seat you will ever need!